Being a certified social media newbie means that I get to look at everything with wide-eyed wonder. 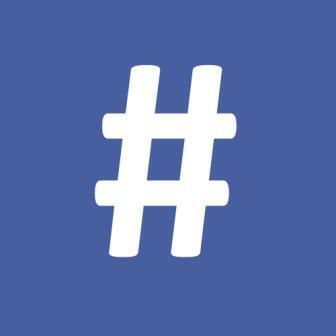 I am sure some of you are livid, that you can no longer grimace or throw shade when someone uses hashtags on Facebook. Yes earthlings, Twitter seems to be the trendsetter in these social media lanes, they lead, others follow. Something to note is that Tumblr, Pinterest and other social networks also use hashtags, and Google announced last month that it was adding hashtags to its Google Plus service. That is according to New York Times. Whilst you may be aware of the hashtag craze, there are a few things that may have evaded you. Like, you can only use them on computers, they are not ‘mobile-enabled’. I’ll confirm. Two, they have only been ‘rolled’ out to a number of people, not everybody can use hashtags as of now. Random selection they call it. For now only about 20% of users have access to this awe-inducing phenomenon. So what pray tell are the ramifications of hashtags on Facebook you ask? Like Twitter, if you put a # before any word, it means every Mary and her little lamb can find what you said about that particular word. Cool? Not unless you subscribe to paranoia daily like me. It basically means that sleuths and ninjas have access to your ‘information’. Say you have a stalker, and you unconsciously write, I’ll be at #JavaSaritCentre, anybody looking for that word will find you. Also, any post that you shared with a hashtag prior to ‘activation’ makes it automatically discoverable. Remember when you posted that your boss is “so #exhausting’ *insert Taylor Swift’s voice*”, yeah, soon the chicken will be coming home to roost. Greg Lindley, Facebook’s product manager shared a few insight on newsroom [dot] fb [dot] com as to what you expect o see in the coming days. Now you can: Search for a specific hashtag from your search bar, click on hashtags that originate on other services, such as Instagram. You an also compose posts directly from the hashtag feed and search results. As always, you control the audience for your posts, including those with hashtags. What he means is that, to ensure that only the people you want to see your info get it, check security settings to ensure it says only friends, unless your posts are meant for the public. “Every day, hundreds of millions of people use Facebook to share their thoughts on big moments happening all around them. Whether it’s talking about a favorite television show, cheering on a hometown sports team or engaging with friends during a breaking news event—people on Facebook connect with their friends about what’s taking place all over the world. To bring these conversations more to the forefront, we will be rolling out a series of features that surface some of the interesting discussions people are having about public events, people, and topics. As a first step, we are beginning to roll out hashtags on Facebook. Hashtags are just the first step to help people more easily discover what others are saying about a specific topic and participate in public conversations. We’ll continue to roll out more features in the coming weeks and months, including trending hashtags and deeper insights, that help people discover more of the world’s conversations.” Greg Lindley. I wonder if there’ll be a #KOF (Kenyans on Facebook) who agitate for Kenya to be recognized as a ‘trending locatio’ should Facebook introduce that too. It was a battle of epic proportions on Twitter, that raged for months. It was characterized by passionate petitioning and ‘nimble’ name calling. Was Kiss TV stealing DStv’s content?